Staying on top of a complicated hair care routine is no walk in the park. Between all the shampoos, deep conditions, and making bedhead look effortless, it takes oodles of time to look your best – and take care of yourself to boot. If you’re out there working that gorgeous, healthy head of hair, you might as well use all the time you’ve got to look fabulous. Which means learning how to keep your tresses on point – even while you’re sleeping. If you’re still sleeping on cotton pillowcases, it might be time to upgrade. And while this may sound like another piece of “treat yourself” indulgence, we promise it’s way more practical. According to John Kenmuir, president of Manito Linens, a silk pillowcase really is that much kinder on your delicate hair. Sleeping on cotton can also sap moisture from your skin and hair, but a silky fabric won’t dry you out. “The tightly-woven, smooth fibers of silk help keep moisture close to the skin,” dermatologist Jennifer Peterson explained to Everyday Health. More moisture in your skin and scalp means less time – and money – you have to spend on expensive hydrating treatments. Double win! No one likes to wake up feeling enveloped by their long tresses – it’s hot, sticky, and pretty darn uncomfortable. But far too many women put their hair up before they go to bed and then secure their long locks with an elastic band. This is pretty much torture for your hair, says beauty writer Lauren Valenti. “Because you’re tossing and turning through the night, you’re adding even more pressure the roots and hair shafts,” writes Valenti at Marie Claire. All that pressure means you’re more prone to breakage, which is caused by weakening the hair follicle until your hair gives up – and snaps. This is super hard to repair, but easy enough to prevent. Be extra careful about how tightly you tie your elastics – especially at nighttime. “The pressure of a super-tight rubber band around a ponytail can wear away at your hair’s cuticle and cause the strands to break,” explain the editors of Prevention. If just thinking about all that hair in your face makes you squirm, consider an alternative hairstyle before pulling your hair into that pony. At Bustle, beauty writer Sienna Fantozzi suggests a few different options. “If you have to tie it back, go low with a ponytail or loose braid at the nape of your neck,” she writes. Better safe than sorry. And better strong, healthy hair than a damaged, broken mess. Rocking a head of natural curls? Help your hair bounce back in the morning with the help of a silk scarf and a technique known fondly as “pineappling,” suggests stylist Gabrielle Corny. “You pull your hair up to the top of your head and put it into a loose ponytail to prevent indents,” explains Corny at Glamour. 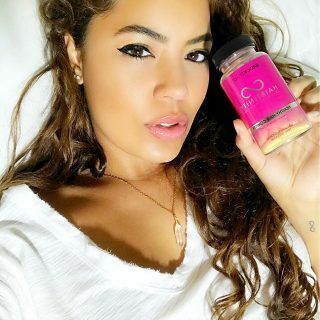 With your curls up and out of the way, you won’t have flat, lifeless hair when you roll out of bed, a perk Refinery29’s social media editor, Larissa Green, loves. 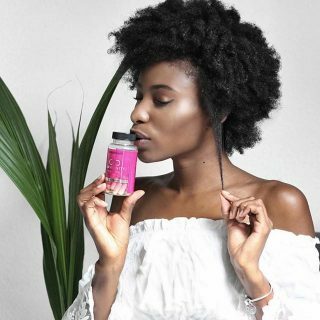 “Pineappling is great for natural hair because it keeps the kinks and curls along the base of your neck from getting smashed, which allows the coils to fall better in the morning,” Green told the blog. Plus, with a silk scarf to your name, all the moisture in your hair and scalp will finally stick around. When you’re a girl with natural curls, retaining moisture in your hair is super important – especially because it’s such a challenge. And with good reason, says Tippi Shorter, Global Artistic Director for Textured Hair at Aveda. 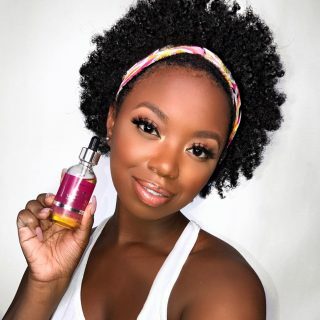 “Curly and coily hair don’t get the natural scalp oils that straight and wavy hair get [because] curls and texture don’t allow for constant brushing, which is how natural scalp oils moisturize hair,” Shorter told the beauty blog StyleCaster. If this sounds painfully familiar, switching up your pillowcases will help – and so will these next two oh-so-effective ultra-conditioning treatments. Hair masks are essentially deep conditioning treatments in disguise. The basic idea? Apply a naturally moisturizing oil or butter to your tresses to help lock in moisture and bring your hair back from the dead. “A weekly mask is just the TLC your hair needs (and deserves) to get your hair hydrated, soft, and healthy again,” writes Erin Lukas at InStyle. And what’s more relaxing than sleeping while your hair reaps the benefits of all that added moisture? If you have dry or curly hair, look for strong, natural hydrators. Think coconut oil and shea butter to help relieve your scalp and lock in moisture. 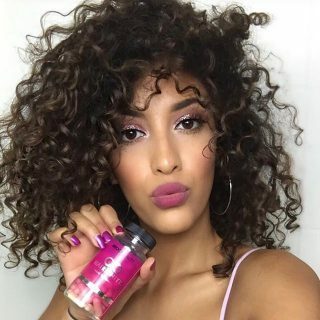 You can also “scan labels for argan oil, a powerhouse ingredient that coats curly hair, giving you both a boost of shine and an infusion of moisture, sans buildup,” confirms Crystal Martin at Refinery29. Fair warning: if your hair’s on the thin side, you’ll want to take it easy with these heavy oils and natural butters. Pay more attention to the ends of your hair – and don’t leave that mask in overnight, unless you want an oily mess on your hands. Instead, make masking a special pre-bedtime ritual and rinse completely before you hop in the sack. Whatever kind of hair you were born with, slathering on a moisturizing mask once a week will take your bedtime from pure beautyrest to jealousy-inducing secret weapon. 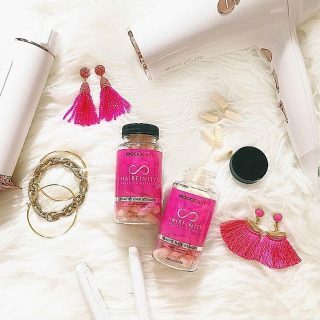 Ready to take your hair care night game to the next level? Consider a moisturizing wrap – a hair mask that uses the heat of a towel or a shower cap to keep all that hydrating goodness close to your scalp. “Hair masks are all about moisture,” stylist Joel Warren told Huffington Post. Voila! Thanks to the natural heat of your body – trapped by a towel or shower cap – you can transform dry, damaged hair overnight. If you’d rather wrap your natural hair in a silk scarf to keep it extra safe, try one of these three nighttime-approved styles from the blog NaturallyCurly.com on for size. Cute hair with more hydration? Yes, please. 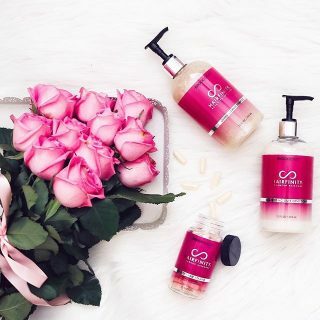 When it comes to sporting healthier, hydrated hair, we could all use a little boost – especially during the long, cold winter nights that dry out our hair and our skin. With a little bit of extra TLC, you can mask, wrap, and treat yourself to a luxurious night’s sleep – and a gorgeous head of hair the next morning.